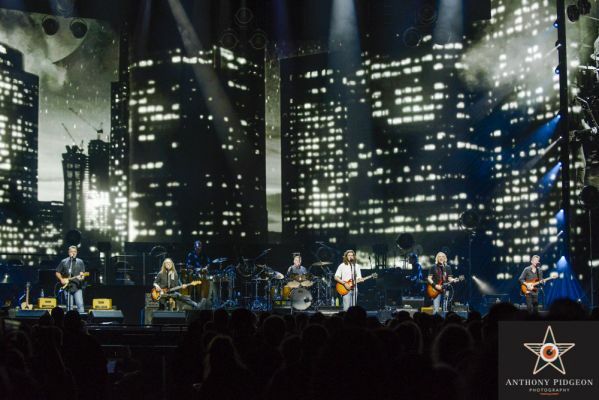 By ANTHONY PIDGEON // The Eagles' latest configuration satisfied the folks at Moda Center. 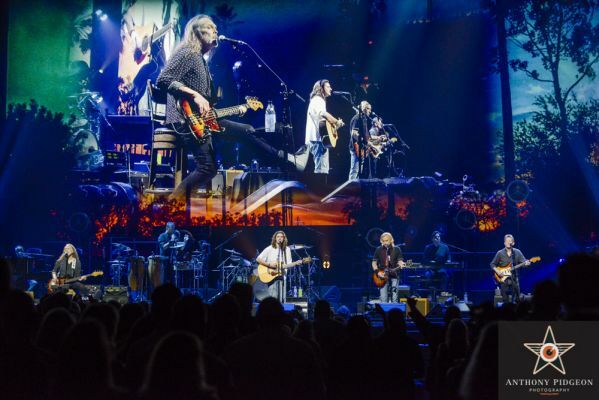 The Eagles held Moda Center fans in their collective spell for close to 3 hours on Tuesday, May 22, playing many of their classic hits, a smattering of material from their 2 later releases, 4 Joe Walsh / James Gang songs, a Vince Gill hit, and a long shelved cover of Tom Waits “Ol' 55”. 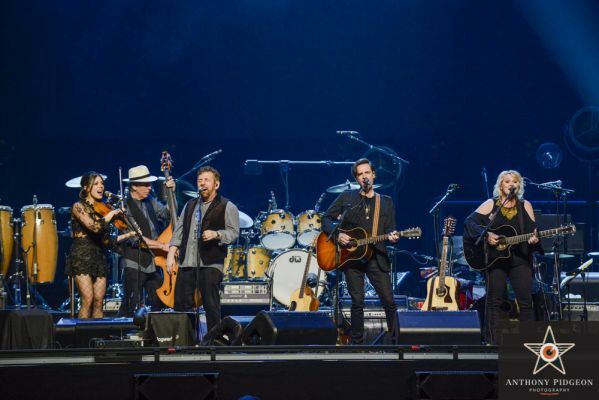 JD & the Straight Shot opened the evening with a rootsy Americana vibe, blending prominent male/female vocal harmonies with fiddle and acoustic guitar for a big, crisp acoustic sound that still felt as homey and laid back as a lazy Sunday on the back porch. 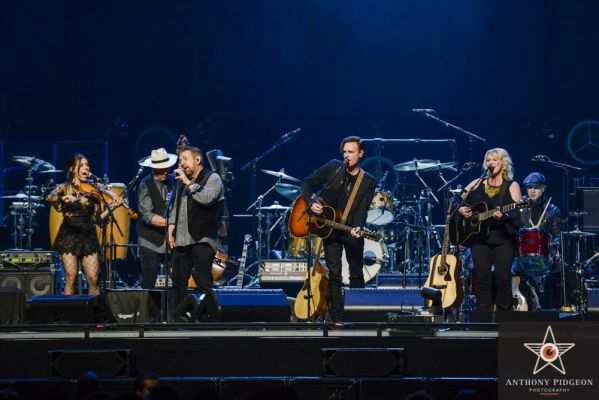 The Straight Shot band members have worked as sidemen for an impressive roster of headline artists, and lead singer JD (James Dolan) also happens to be the Executive Chairman of MSG. You do the math. 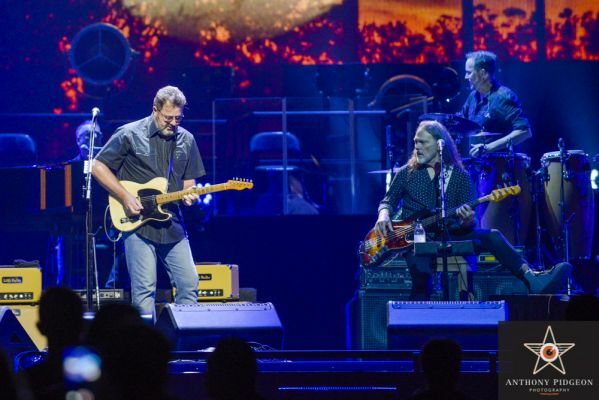 The current configuration of the Eagles contains some new faces since the passing of co-founder Glen Frey. 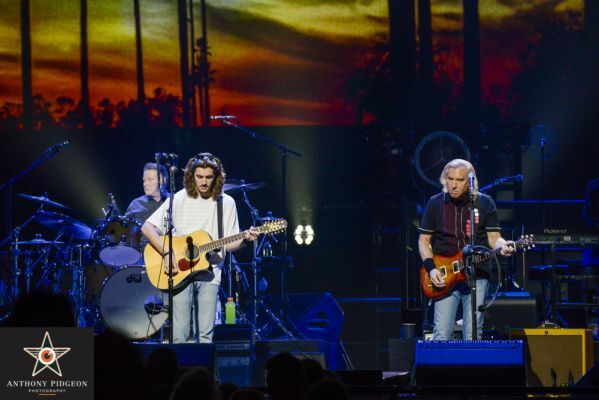 Vocals were split between the last remaining founding Eagle, Don Henley, along with long time Eagles alumni Timothy B Schmidt and Joe Walsh, “newcomer” Vince Gill, a huge country star in his own right ( 21 Grammys to his name), and Deacon Frey, son of Glen Frey, covering Glen's lead vocal and acoustic guitar parts admirably. 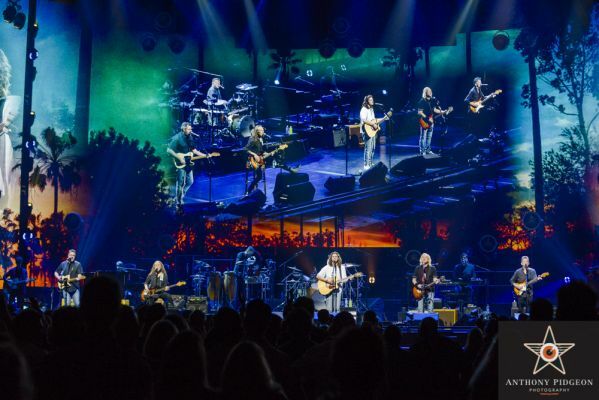 Though most of the lead vocals were by different singers than the original recorded versions, the signature harmonies that blend so seamlessly on the biggest Eagles hits worked well with the combination of new and old voices. 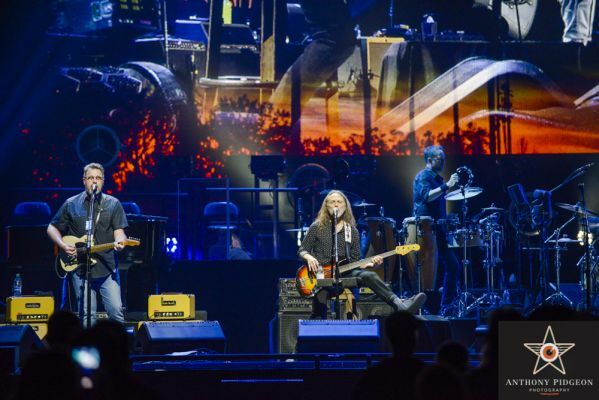 Don Henley handled his vocals while switching back and forth between guitar, drums and percussion, while Timothy B Schmidt held down bass and vocals seated on a stool with a leg cast on, still projecting cool. 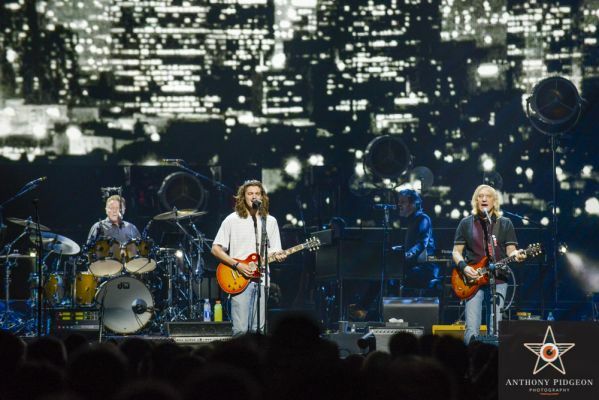 Joe Walsh provided lead guitar and vocals for many of the songs beginning with his tenure on their classic “Hotel California” album, as well as on 2 solo and 2 James Gang (his former band) tracks. 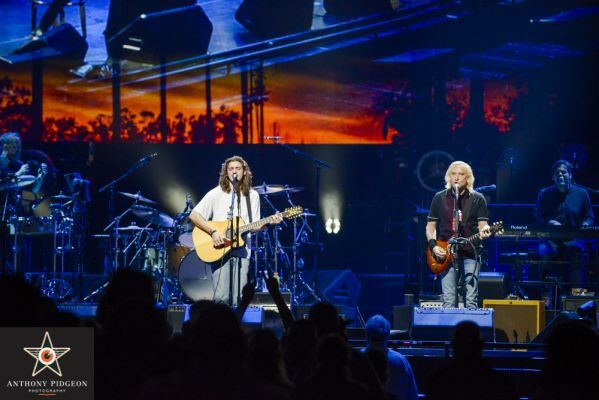 Throughout the show Walsh traded lead guitar licks with long time sideman Steuart Smith, who effortlessly nailed the classic riffs and solos in a nonchalant, low key fashion. 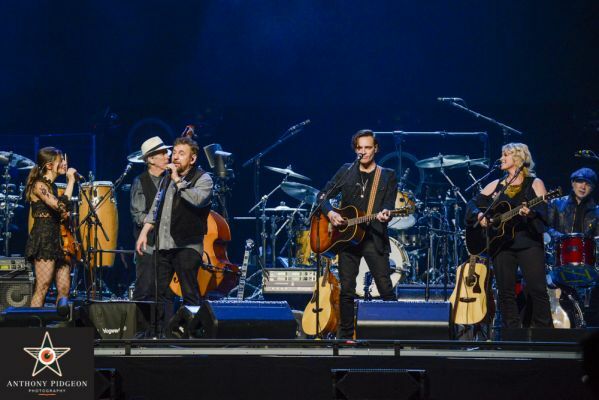 Although Don Henley bristled at the association of the term “mellow' with the Eagles while introducing their first radio hit, “Best of My Love”, thats exactly what the crowd was there for, and was only reinforced by the 'take it easy' style the band delivered songs in for most of the show; understated playing, minimal fanfare, a bit of between song patter, and plenty of riding the laid back vibes of the smiling audience. 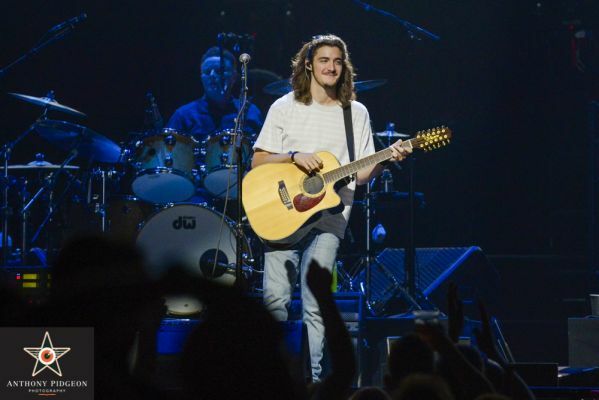 Though the band may be uncomfortable with that particular adjective, fans walked away with the peaceful easy feeling they were looking for. I waited so long to see them and was not disappointed! 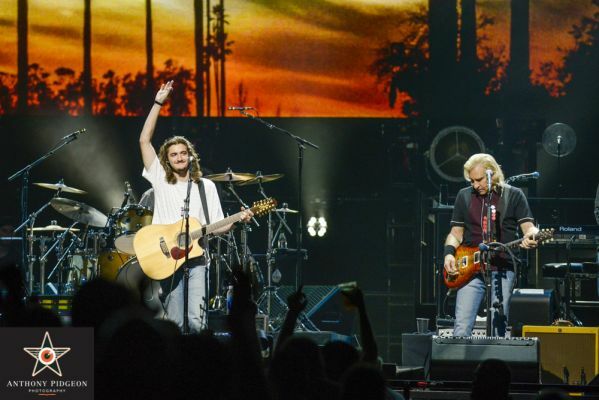 Glenn Frey will never be replaced however his Son Deacon did an admirable job . Steuart Smith is fantastic guitar player and never gets the credit he deserves!! He should always be listed as a member....what would they do without his expertise with his talents!! 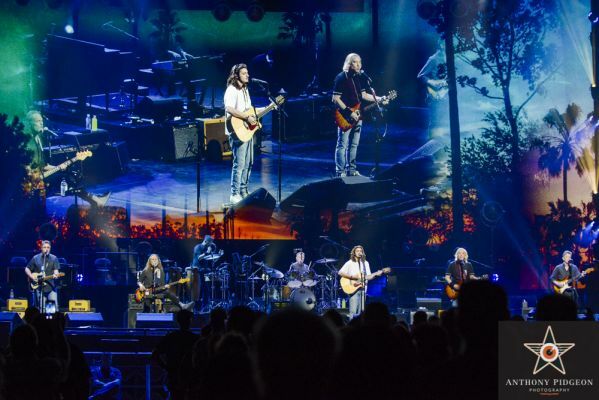 I so glad I was able at 82 to see the Eagles live! My seat was so high up it was one row from the roof!!! I’m glad I brought my binoculars!! 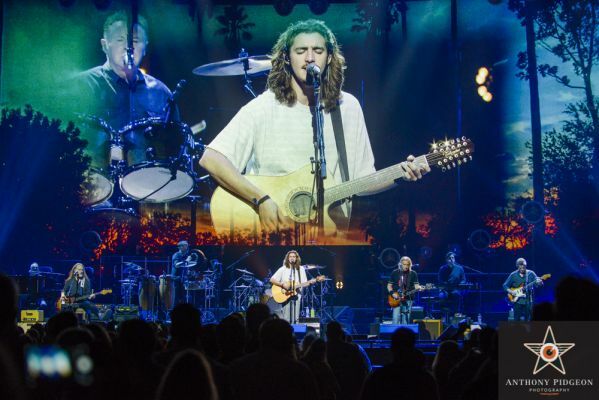 I don't support The Eagles after they started forcing kids on YouTube to pay for using their decades old music in videos. Stingy old men don't deserve support.